Add $30 to any donation & we also include a 2018 Owl Calendar (while supplies last). Note: your charitable receipt will not include the $30.00 for the calendar since it is considered a retail sale. Title: Mr. Mrs. Ms. Mr. & Mrs. Dr. Comments, suggestions, instructions, or just say hello! Note - You will receive a confirmation e-mail once we have processed this donation. Your contact information will be kept confidential by us. and do not share donor information. 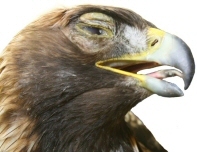 Copyright © 2008 Alberta Birds of Prey Foundation. All Rights Reserved.